Warm Springs Composite Products does everything possible to ensure the solution you need meets every necessary certification that is required. We have tested and obtained all of the required fire rating certifications for every product and component we offer, saving you the trouble and expense of having to test them on your own. Plus, we use our expertise to help you incorporate our products and materials into your designs as well as direct you through the process of satisfying all “Local Standard” and “Local Fire Door Certification” requirements. 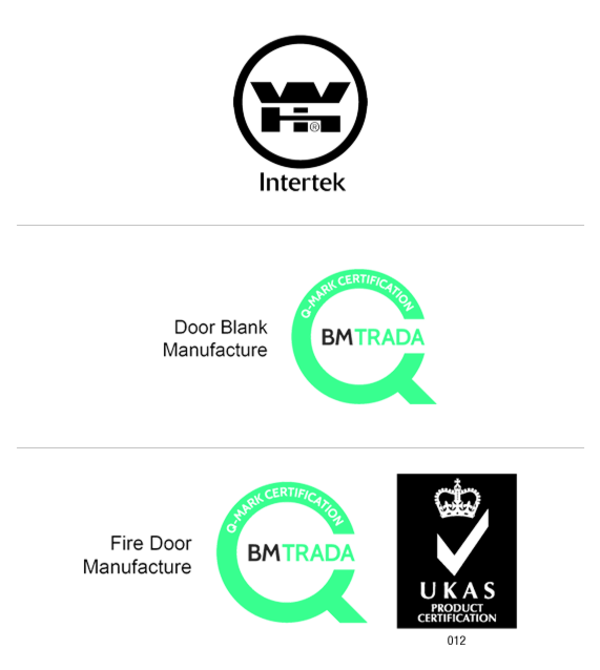 All of the products and materials Warm Springs Composite Products manufactures meet the stringent certification requirements set forth by major certifying agencies, including BM Trada, Cambridge Fire, IFC, Chiltern and Warrington in the U.K., and Intertek Testing Service (Warnock Hersey) in the U.S. Our British Standard and European Standard certifications from BM Trada include ongoing testing focused on both BS 476:Part 22 and EN 1634-1 requirements. Our U.S. certifications from Warnock Hersey complies with UBC 7-2/U.L. 10c certifications. No Resources Found. Try expanding your search.